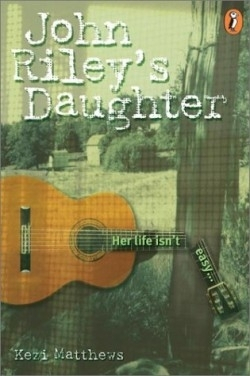 Memphis Riley is thirteen years old. When she was seven, her mother died. Her father, John Riley, took her from their home in New Orleans to Blue Parrot, South Carolina, population 900, leaving her with her maternal grandmother, Naomi. Naomi had no use for Memphis’ mother and she also resents and dislikes Memphis who does not look like her side of the family, being tall and red-headed. Naomi’s other daughter, Clover, age twenty-nine, is mentally handicapped. Clover and Memphis quarrel frequently as Clover is continually breaking and destroying Memphis’ belongings. When Clover smashes the guitar that Memphis has from her mother, Memphis screams “I wish you were dead.” Clover runs off and disappears. A huge search begins. Even a trained dog is used. Through all this, Memphis has two allies: her best friend Samson and the next door lady known as Aunt Birdie. “The pounding of my heart roared up in my ears like the wheels of a big truck burning up highway.” This language, richly descriptive, helps to create a believable, moving story of a child’s tragedy. Memphis is trapped somewhere she is not wanted. She longs for the return of her father. The disappearance of Clover is the silver lining in the cloud for Memphis as it results in her going to live with Aunt Birdie. She discovers just how deep her grandmother’s resentment and hatred for her actually are. “No birth certificate! No nothing! How do I know she’s my granddaughter?” The problems are not surmountable; they cannot be resolved. Pausing to speculate, to interpret, to wonder and provide reasons, Memphis may never know why she was abandoned or resented, but her acceptance strengthens and protects allowing her to surmount a difficult childhood.